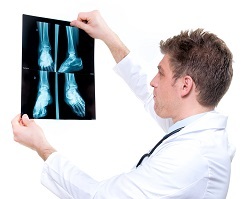 Searching for Ways to Get Your Podiatry Practice a Step Above the Rest? With cutting-edge web services and user-friendly platforms, Foster Web Marketing has helped practices just like yours connect with potential patients with the click of a button. Are you ready to take your marketing to the next level? The Internet has long surpassed print media in terms of cost-effective advertising. As web-based marketing has evolved and grown, however, what was once a simple way to attract patients has become an unwieldy tool that seems to underperform at every turn. As a manager of a 21st century podiatry practice, you probably have a website—but is it performing at a level that you demand? Ideally, a website that actually works will draw in new patients and keep them engaged, both selling your practice and serving as an important resource. Once your website attracts and engages potential patients, it should have the power to convert a web shopper to a patient. If your website isn’t currently doing this, it’s simply broken. And it’s up to you to get it fixed! A sharp, well-designed online presence can draw in your target demographic, while fresh, optimized custom content can keep your audience interested and engaged. At the end of their session, your site viewers should become lead conversions with the click of a button, translating your online traffic to office traffic in a matter of moments. Whether you specialize in certain treatments or your office boasts the latest technology, you’ve put in the hard work to ensure your practice stands out from your competitors. Your website should attract your ideal patients based on your area of expertise, but you may be losing business to your competitors simply because your website is limping along behind it in terms of performance and power. Monitor your site’s success with clear, built-in analytics. Track and market to potential and current patients. Add to and update your website’s content with ease. At Foster Web Marketing, we offer web-based marketing solutions for every need and budget. If you are ready to commit to a new level of marketing fit for the modern world—and a website that shines in a crowded web community—call us today at 888-886-0939 to discuss your options. For a head start on your exciting new web presence, visit our site for a free analysis of your current site. We can help you determine what is working, and what needs to be stepped up to better serve your podiatry practice’s needs!